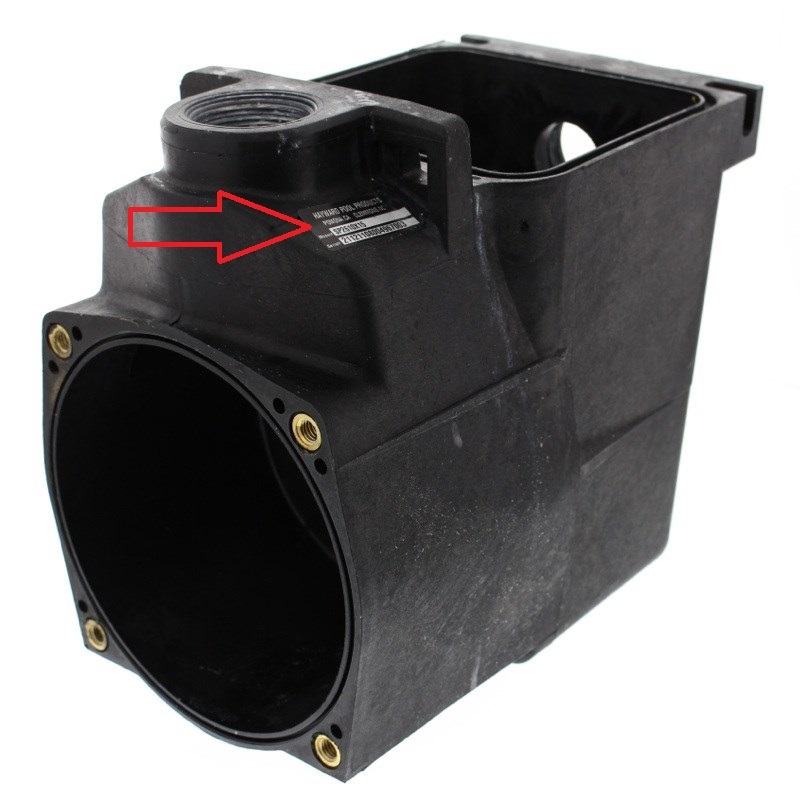 Whenever you replace your motor, we highly recommend replacing your pump shaft seal as well. Not only does it protect the motor from water damage, but it also secures your one year warranty on the new motor. It’s a win-win scenario. 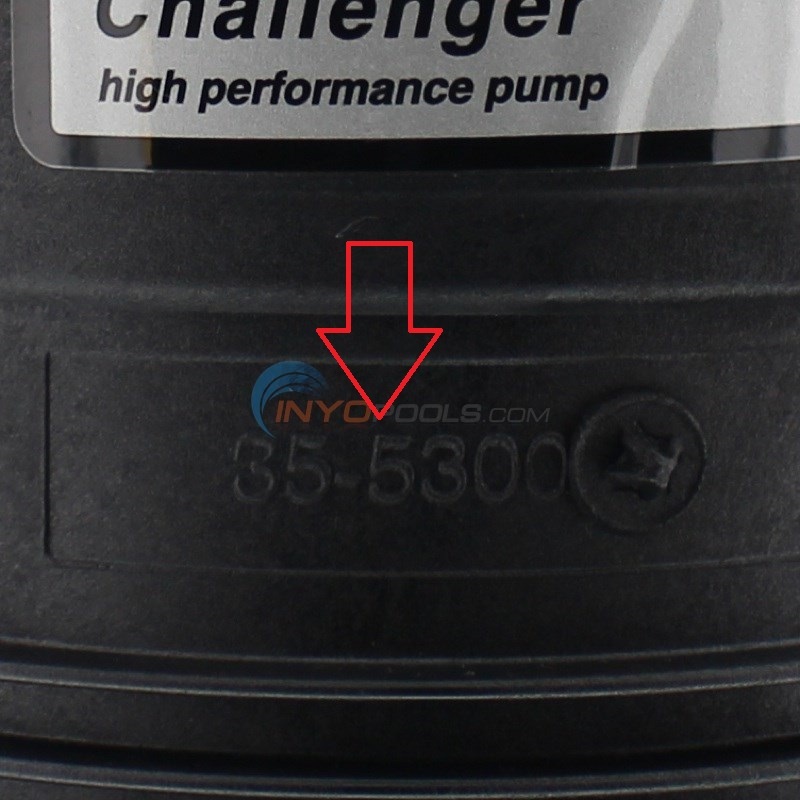 But, how do you find the correct seal for your pump? Are they all the same? 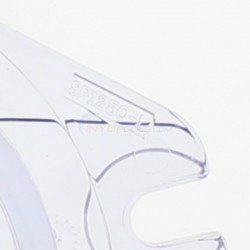 Should you replace other seals at the same time? Let’s dig a little deeper. Okay, I can admit that it can be a little confusing choosing the correct seals for your pump. From our experience, the biggest confusion stems from the information pool owners actually need to get the correct parts. To order the correct seal for your pump, ideally, you need the make and model of your pool pump. This information is typically located on the pump housing, opposite of the motor. This information has its own separate label. Unfortunately, the motor information cannot determine which seals you need. Like the shaft seal, the motor is simply a single component of your pump. It makes sense, though, to think the motor information is helpful considering half of the pump seal goes on the motor shaft. However, in this situation, it isn’t. 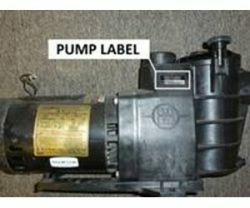 If you cannot locate or read your pump label, don’t fret. 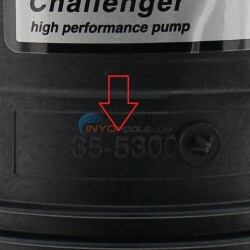 There are other ways for pool owners to identify their pump without the pump label. The good thing about the majority of pool pump parts is that they are very specific. 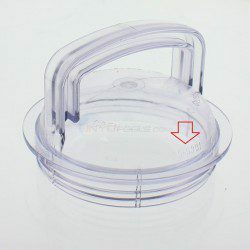 For example, Hayward doesn’t use the same housing for the Super Pump and the Super II. This makes it easier to cross-reference when determining which pump parts you need. 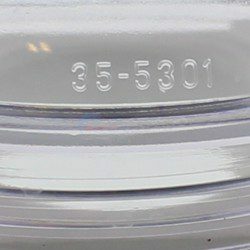 If you do not have access to the pump label for whatever reason, your next goal is to locate a part number on a single piece of your pool pump. Luckily for us, there are a few ways to identify your pump without un-installing it. If you cannot read or locate the pump information, look for the part number engraved on the pump housing. Below are examples of what they look like and where you might find them. 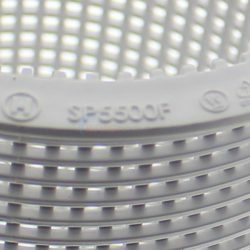 If you’re looking for another part number, the strainer lid is the easiest place to start looking. The strainer lid sits on top of the strainer basket in the pump housing. Below are examples of strainer lids and of places you might find the part number. 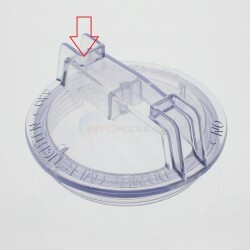 Here’s one last example of a strainer lid. This one belongs to the Hayward Max-Flo pump. Directly under the strainer lid is the strainer basket. 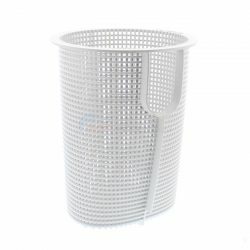 If you cannot locate a part number on the lid, your best bet is to look at the strainer basket next. If you’re unable to find a part number on the pump housing, the strainer lid, or the strainer basket, unfortunately, the next step is to un-install your pump. 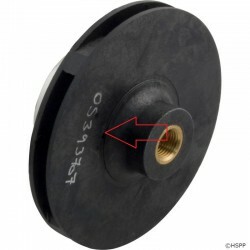 You can find part numbers on the impeller and diffuser in your pump. 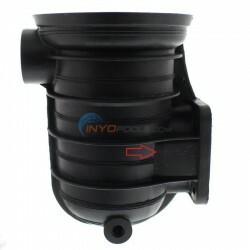 However, in order to reach both parts, you will have to remove the motor from the pump housing. If you need help removing the motor from your pump housing, I recommend watching our how-to video on how to replace your motor. 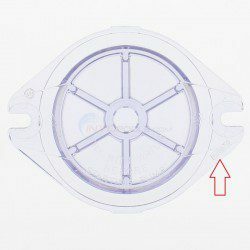 Once you’ve safely removed the impeller, inspect both sides for the part number. The impeller is very specific to the model of the pump and therefore can be a very useful tool to identify the specs of the pump. 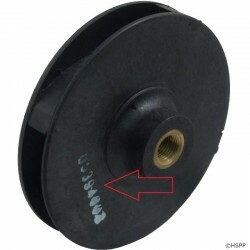 This is also a great opportunity to inspect the condition of your impeller. Some manufacturers handwrite their part numbers on the impeller. 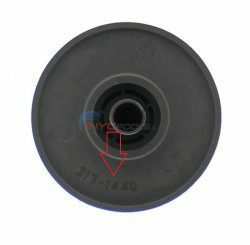 Most of our customers have the most luck finding part numbers on the strainer lid or the impeller. 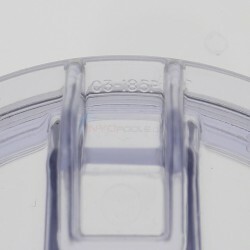 The diffuser, right behind the impeller, also contains a part number. Because of the odd shape of the diffuser, the part numbers are more obscure and we recommend having a magnifying glass handy. Pump seals and gaskets are small but they’re kind of a big deal. O-rings, gaskets, and seals protect your pool parts from water damage. This is why we always recommend replacing your pump shaft seal whenever you replace your pump motor. 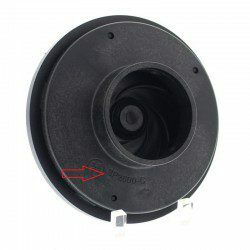 If for whatever reason you are running into issues locating a model or part number, give us a call. We’d be more than happy to help you cross-reference any parts and locate the correct seals for your pump.